I sort of would like to take an extended period of time off to travel again. But that isn't in the cards. The best i can do is mini trips to somewhat exotic places. Now I am going to Medellin, Columbia for 4 days. Why here? For years, folks have said I should go here. There are supposed to be beautiful woman. A friend used to go here to meet the woman. A friend from work goes here a few times a year. What did I know about it? Not much. There are lots of mountains and there is metro system. But living in South Florida, it isn't hard to get there-just a three hour flight, approximately what it would be to fly to New York. So I don't know why I am going exactly-which doesn't bother me. I have visited many places that I don't know where I am going-and as far as the woman, I don't think I would remember what to do anyway. So I decided on Medillin. Two ways to get to Medillin using my frequent flier miles. (1) Jetblue from Fort Lauderdale, with only an additional $70 payment, and American from Miami, with a $150 payment-so being Fort Lauderdale is much closer-that would be the obvious choice, but that isn't what I chose. American's flight lands in Medillian at 8:00 pm, while Jetblue's at 1:00 am. I have learned that options for public transport (and the possibility of not getting lost), are much greater in normal hours. 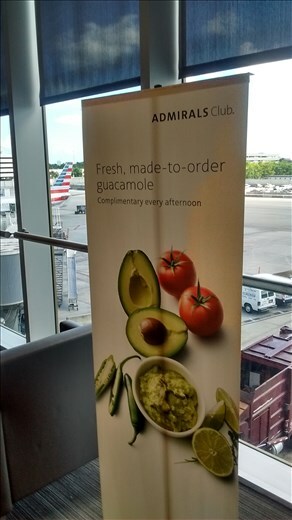 and besides this, I had a coupon that came with my American Airlines credit card for the Admirals Club. Considering I have never been to an airline club, I was curious to check this out. So I left the house about noon. I scored discount parking at the airport Marriott, took their shuttle to the airport, and arrived about 1:00 pm for my 5:00 flight. (I wanted to really experience this club). After a realitvely easy time going through security, I walked what seemed like a mile and a half down the concourse, and found the Admirals Club. (1) The food is good. Cheese, crackers, olives, chips, nuts, cookies, cakes. Snack foods, but I loaded up on them. There was one of those fancy soda machines with a touch-screen, where you can make your own type of soda. A fancy coffee machine where you can make epsresso, cappachino, and cofffees. Cheap beer and wine was free. (2) This place is huuuge... Hundreds of chairs. Both comfy chairs and hi-back tables with plugs for electonics and places to eat. And there are several different sections. One is a dark section where cell phones are prohibited. (3) There are lots of people here. I thought on a random Tuesday afternoon, this place would be sleepy, but almost every chair is taken, particularly the comfy ones. (4) I am wearing a pink short-sleeve polo shirt. I thought I would stand out all the few other people would be men in suits and sports jackets doing spreaddsheets. I Was wrong. There are people of all shapes, sizes and colors here. Some look retired. Some look like college students. I saw kids here. One woman had her little dog with her. I have been here chowing down with just about an hour to go before the plane starts boarding. And I don't mind. I have eaten everything and after a few glasses of house wine I am feeling quote comfortable. And I enjoyed a nice plate of complimentary made to order guacomole.